A number of state attorneys general have announced a joint investigation to determine whether pharmaceutical companies selling opioid drugs have violated laws. The announcement comes as states are grappling with the human and financial toll of opioid addiction. The probe appears to follow along the lines of a case laid out by Ohio Attorney General Mike DeWine, who sued five opioid manufacturers earlier this month. That lawsuit alleges that the drug companies engaged in fraud in the marketing of these drugs to clinicians, minimizing their risks. Connecticut Attorney General George Jepsen says the multi-state probe wants to determine if these drug companies played any role in producing the nation's opioid drug epidemic. 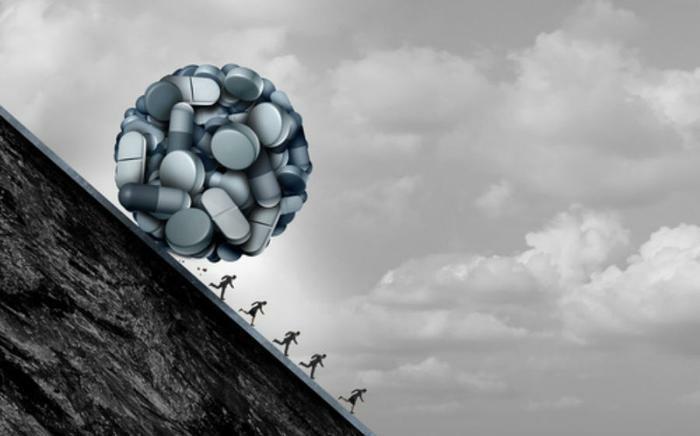 "The opioid epidemic continues to have a devastating impact in Connecticut," Jepsen said. "It would be irresponsible to predict at this stage whether our efforts will lead to legal action or relief, but Connecticut residents can be assured that we will pursue this investigation fully." Jepsen says 917 Connecticut residents died from drug overdoses in 2016. Nationwide, he says prescription and illicit opioids are the main driver of drug overdose deaths. Opioid overdoses have quadrupled since 1999, according to the Centers for Disease Control and Prevention (CDC). Madigan cites data from the Illinois Department of Public Health showing the state was one of 14 with statistically significant increases in overall drug overdose deaths in recent years. Those numbers show there were 559 overdose deaths in 2015 that were directly tied to prescription opioids. The state of Maine recently released a detailed report on drug overdoses,, finding a nearly 40% increase in deaths over 2016. Maine Attorney General Janet Mills says most were directly related to opioid drug abuse. According to the report only five Maine counties had more than 10 drug deaths in 2015. By last year, the number of counties had doubled to 10. Portland, with 5% of the state's population, had 11% of the overdose deaths last year. Bangor has 2% of Maine's population but had 9% of the overdose deaths in 2016.